Amy and Kat had planned a secret trip to Paris. Even Amy's husband wouldn't know about it. But when Amy loses Kat to cancer, she knows the plan is gone forever. Or is it? Guided by memories of her friend and dissatisfaction with her own calorie-counting life in Phoenix, Amy sneaks off to Paris while her husband is away on a business trip. Once there, she's robbed, stalked, arrested and almost kidnapped. Worse, she finds that all her problems have come right along with her. Through her adventures, laced with luscious descriptions of food and Paris, Amy learns that often in life, love and friendship, nothing is exactly as it seems. Grab a croissant and settle in for a decidedly non-touristy trip to the City of Light. Fans of Ella Carey's Paris Time Capsule and Allison Winn Scotch's Time of My Life will enjoy this touching and thoughtful story of self-discovery and second chances. So much more depth than I ever expected! Trophy wife, foodie, and OCD calorie counting Amy and her friend Kat have been planning a trip to Paris for ages (sans Amy's square husband, William). The plan goes off-course when Kat succumbs to cancer, and Amy reconciles herself to taking the trip solo. This is followed by a host of misadventures and fun, but ultimately culls the resilience and tenacity of our otherwise flailing heroine. 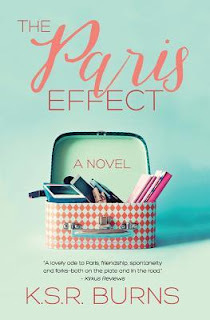 Delightfully narrated with a host of interesting characters, The Paris Effect does what any good book sets out to do: it entertains. 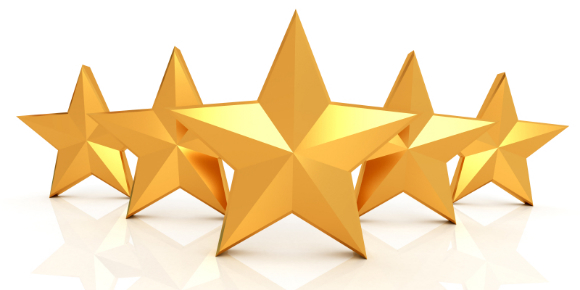 KSR Burns does an exceptional job creating personalities, narrative, and situations that are both layered and engaging. There's no short supply of laughs, but the balance between thoughtful and sincere self-examination with humor is absolutely perfect. Amy, for all her annoying quirks, may not be relatable to everyone, but she certainly feels authentic. It is her authenticity that made the eccentric [and generally unstable] constitution she possessed palatable—and, frankly—really, really fun. 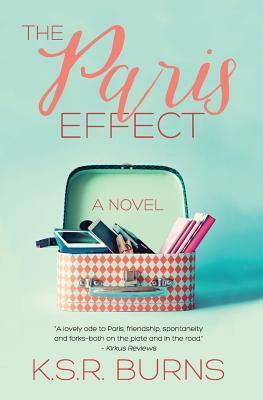 I haven't read the other books The Paris Effect has been compared to by its publisher, but those who have seen and loved the movie French Kiss will be equally charmed by Burns' gem of a novel. Thank you to France Book Tours for providing a copy of The Paris Effect for an honest opinion, which this certainly is. Unlike her character Amy in THE PARIS EFFECT, K. S. R. Burns has never ventured down into the scary and forbidden catacombs. Nor has she run away from home, but she has lived and worked in 22 cities, one of them Paris (because she does definitely share Amy’s passion for Paris). Burns is also the author of THE AMAZING ADVENTURES OF WORKING GIRL: REAL-LIFE CAREER ADVICE YOU CAN ACTUALLY USE (Running Press 2009), because while living in 22 cities she racked up a total of 59 jobs, thereby learning a lot about the world of work. 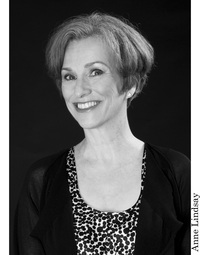 She currently writes a weekly career advice column for The Seattle Times. No longer a wanderer, Burns currently resides in the Pacific Northwest with her husband and cat. Read excerpts by clicking on the banner.